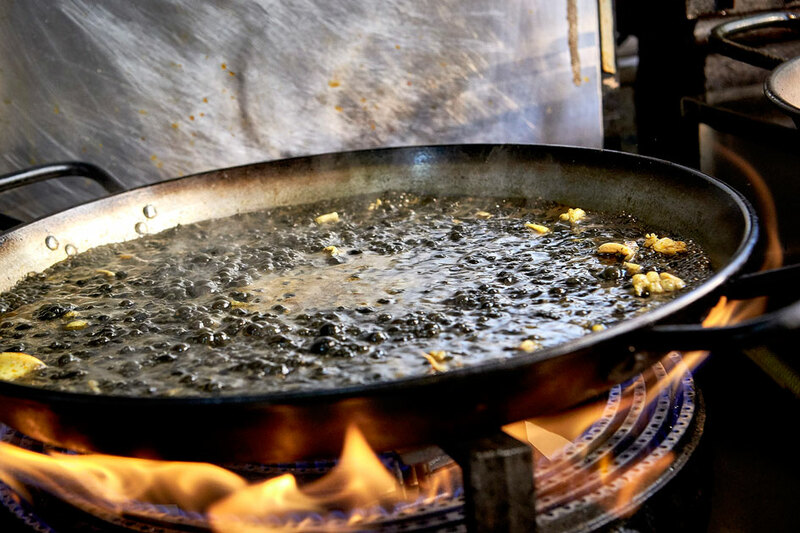 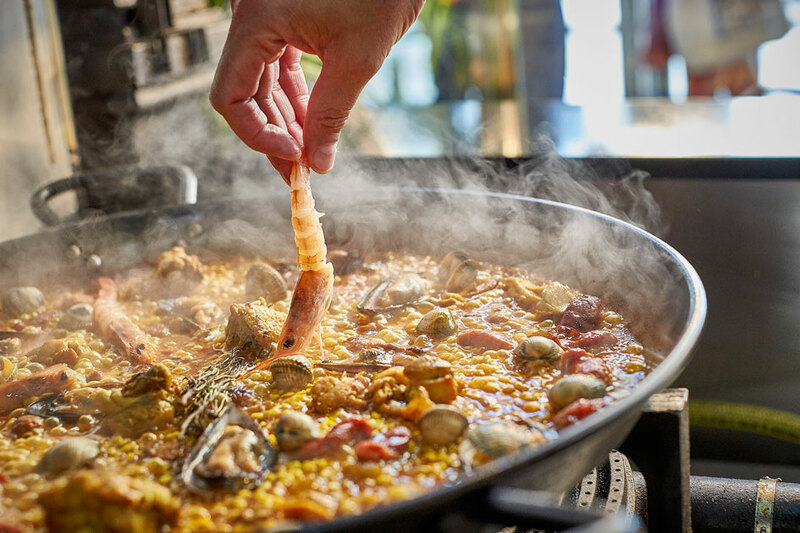 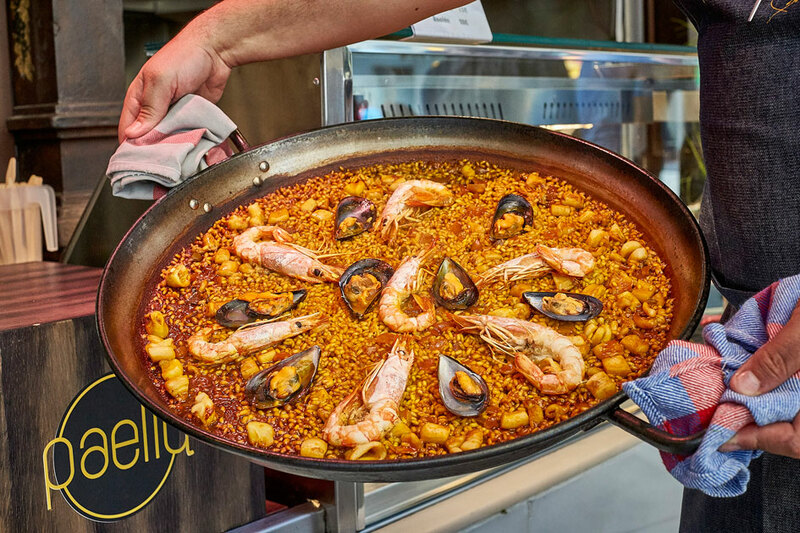 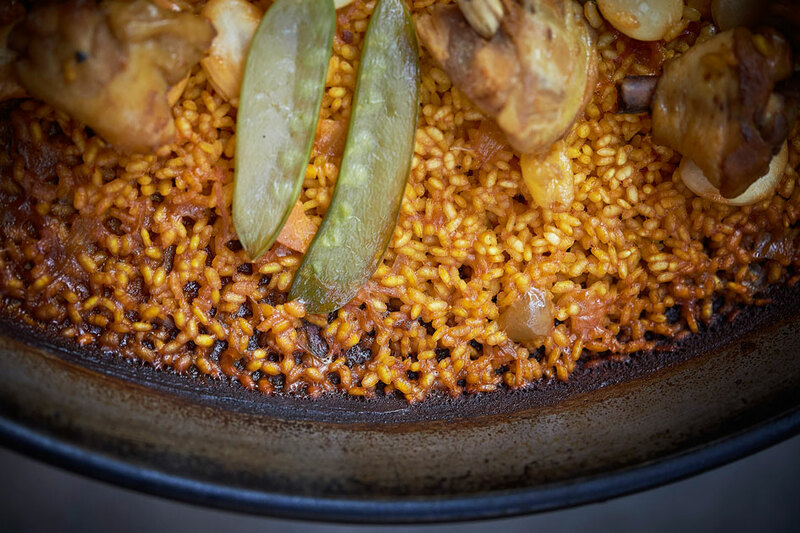 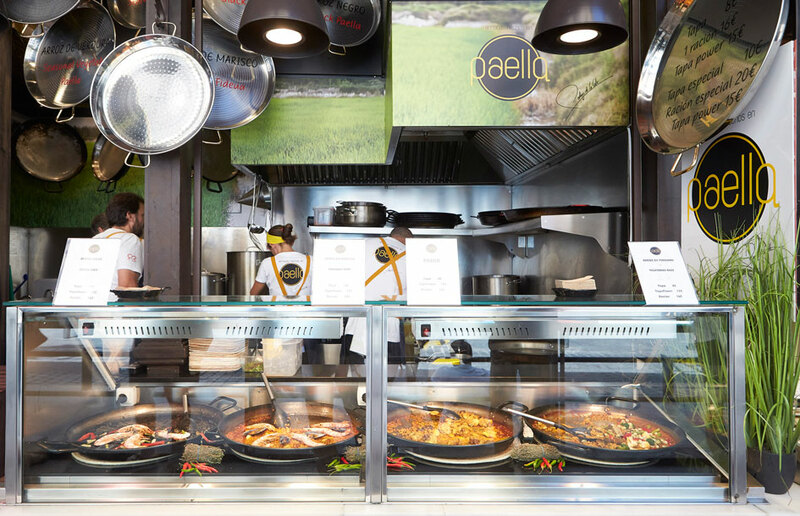 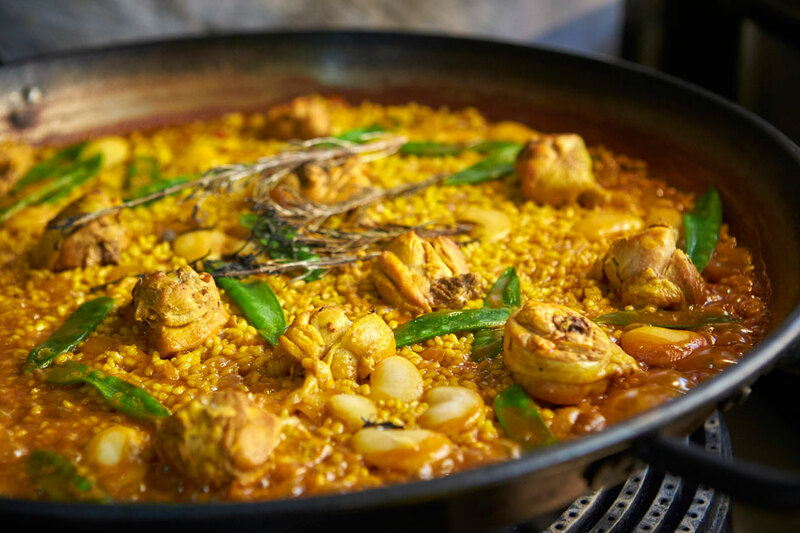 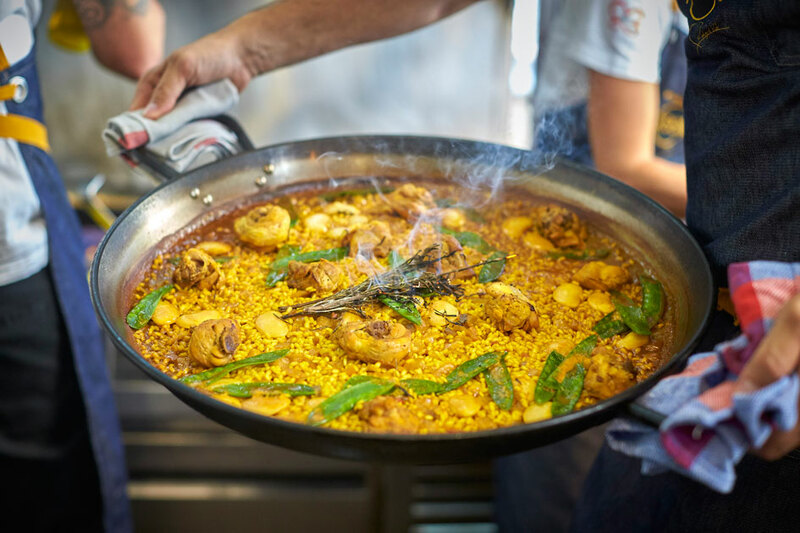 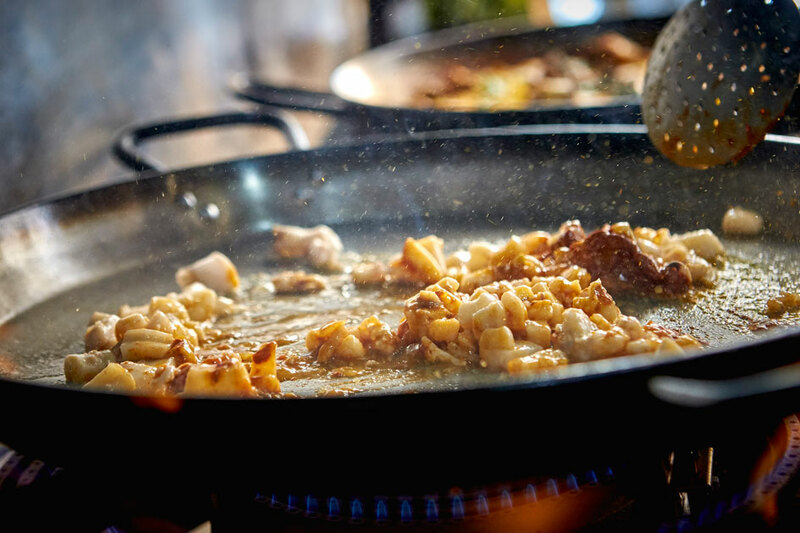 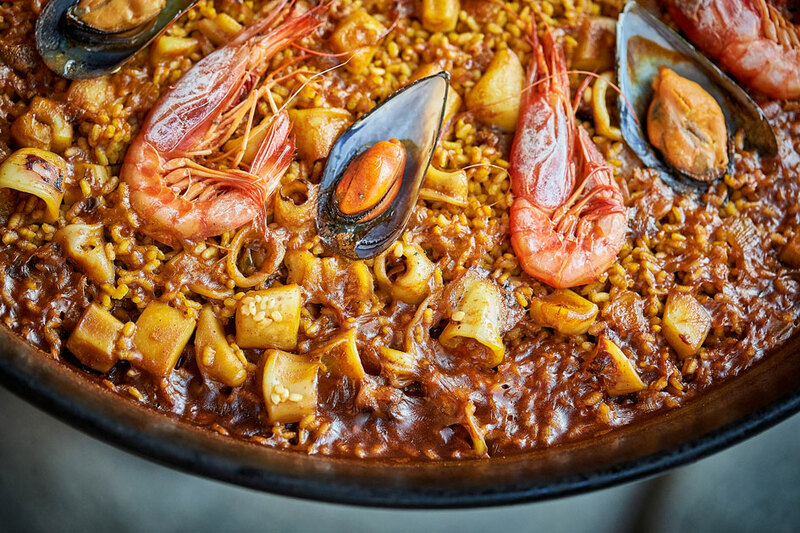 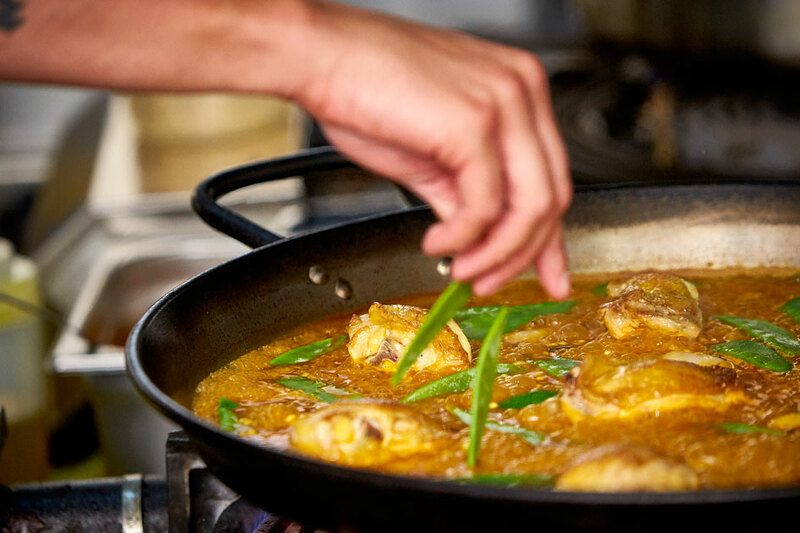 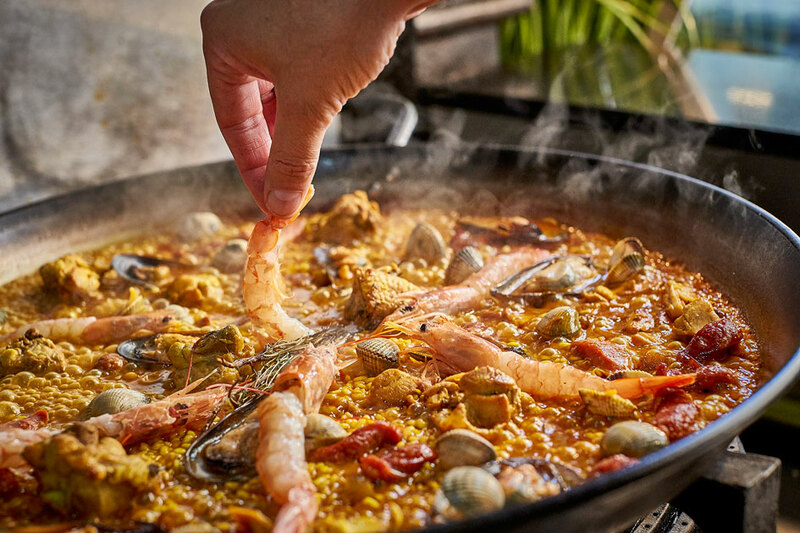 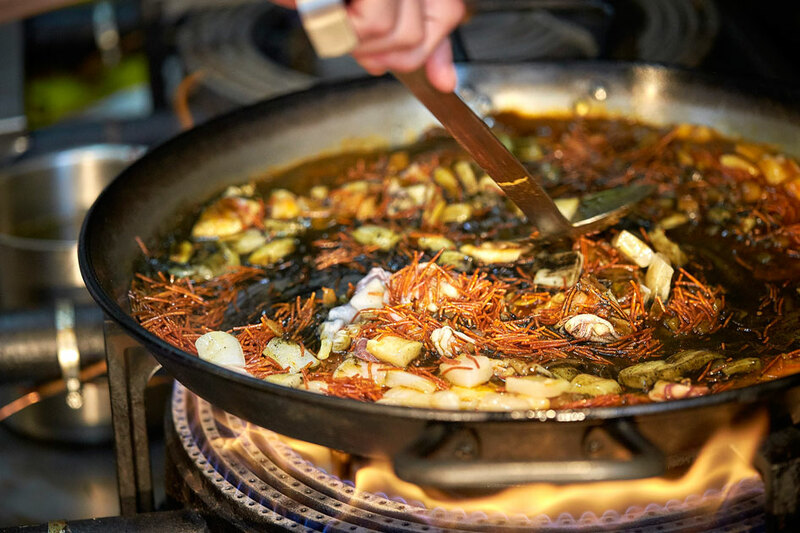 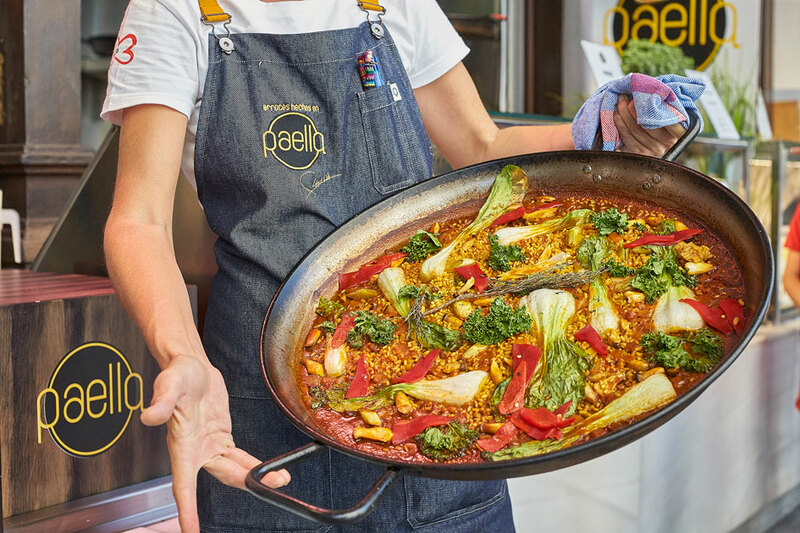 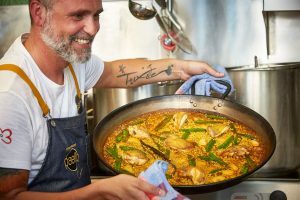 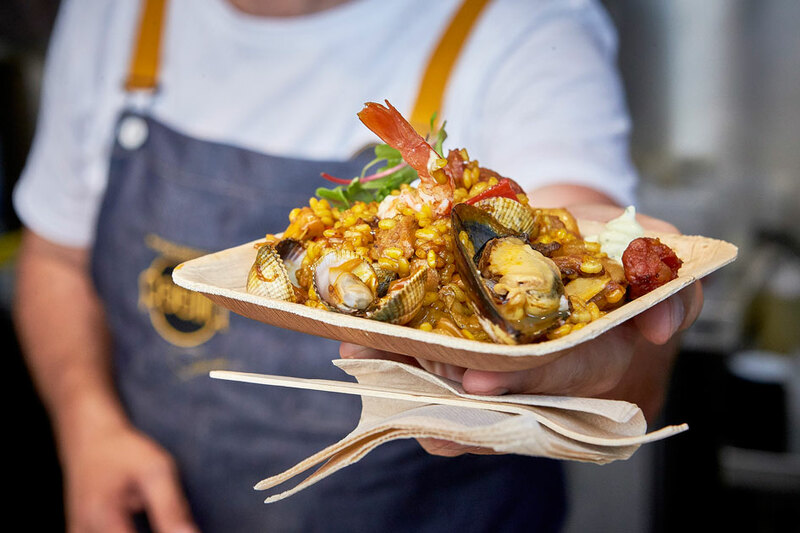 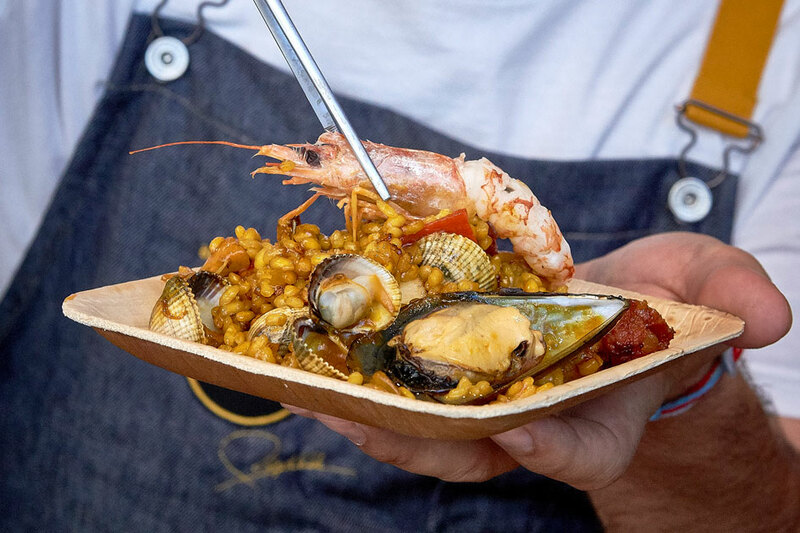 We are inspired by ancestral recipes to make a Valencian paella where the flavors of this iconic dish in Spanish cuisine are the most representative and offer its essence in its purest form. 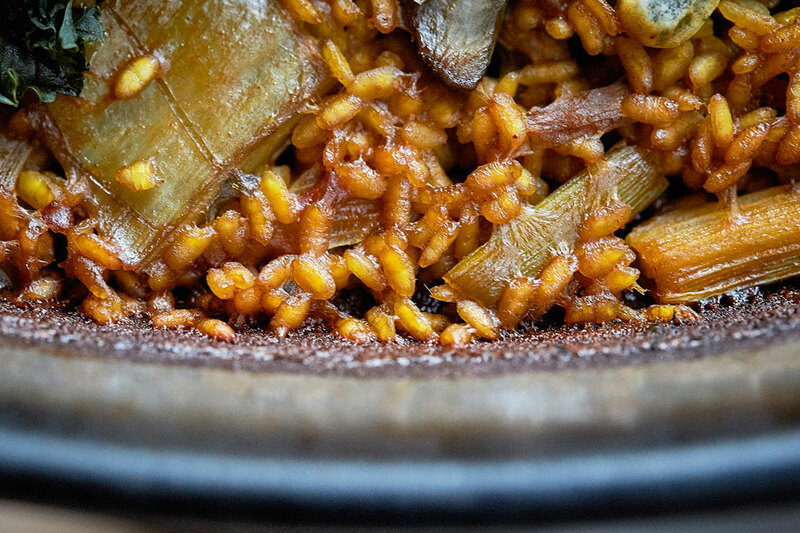 Arroz de la Albufera, broths with vegetables from the sea and the land, poultry, loin, pods, aromatic herbs, olive oil, saffron. 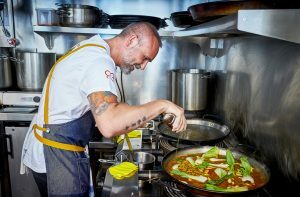 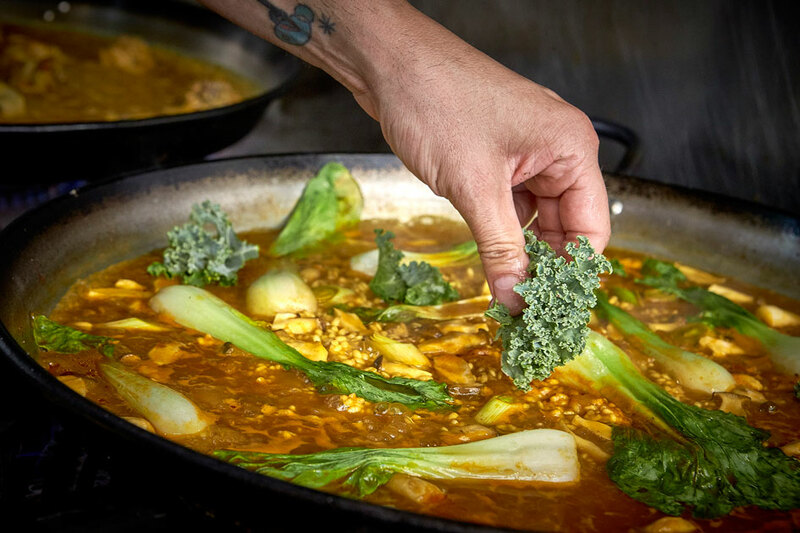 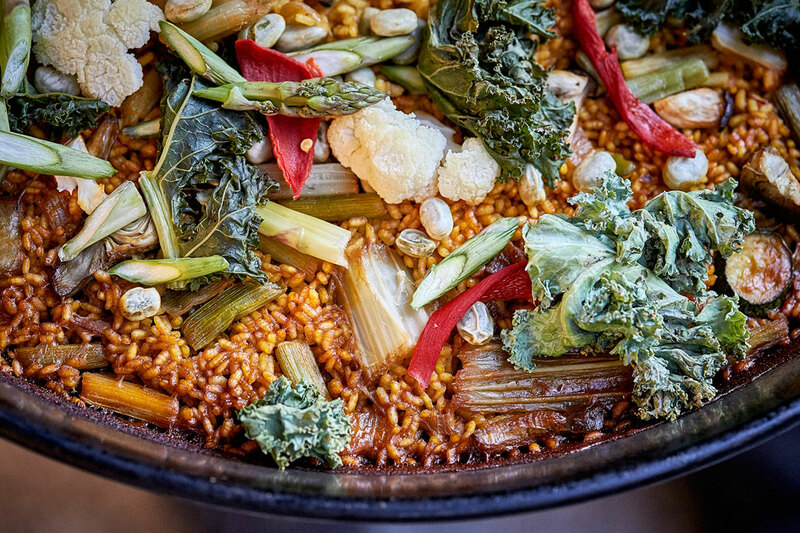 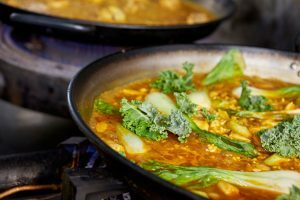 Very personal version of our chef of how to make a vegetable paella, always using seasonal products, adding them in our recipe, at the whim of what the garden gives us each day, fresh, and highlighting its flavor and texture. 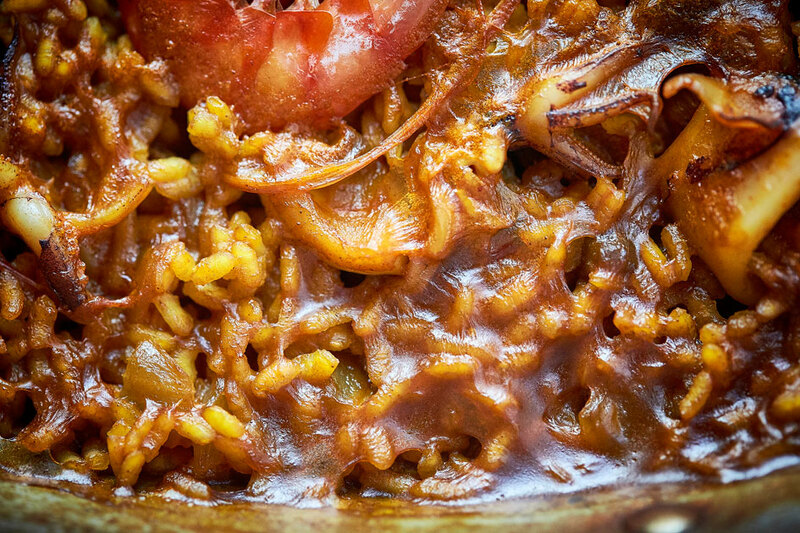 It is possibly one of the most famous dishes of Spanish cuisine, the most requested rice by our customers. 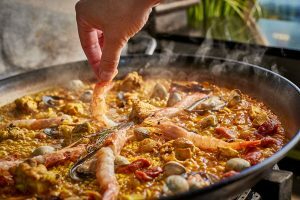 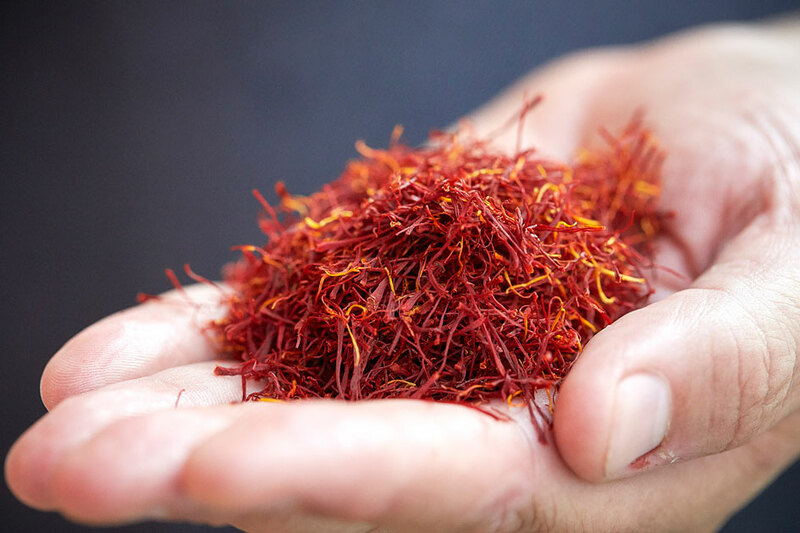 With the thread of ñora and saffron, a sauce of tomatoes, and fresh seafood straight to the paella, getting a rice where the flavor of the sea merges with that of the cereal. 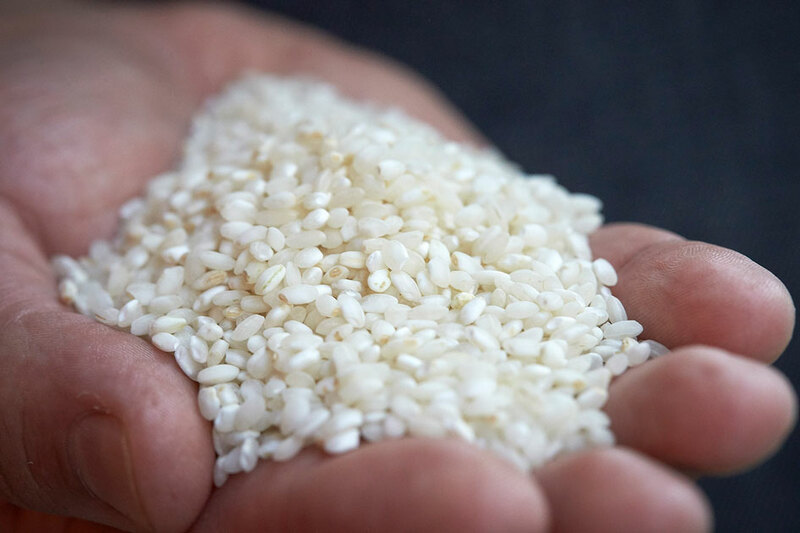 With the same premise that we use when making all our rice and to give a different version of the rice of fruits of the sea. 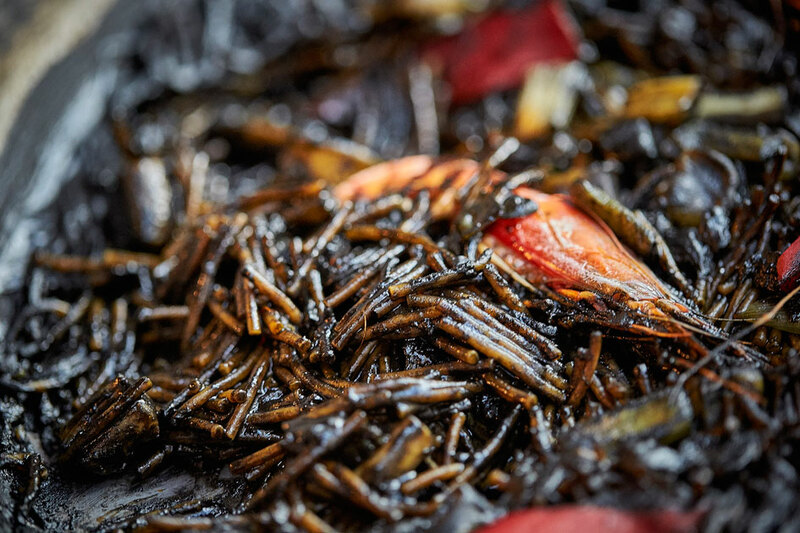 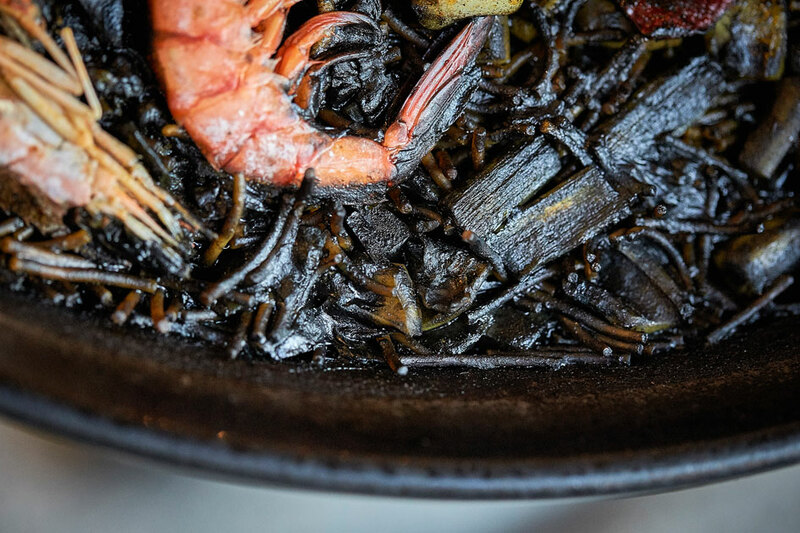 We seek to make the revision of the classic black rice, where the sepia ink acts as a coloring and flavor enhancer, giving its striking and particular appearance to an amazing dish for its striking and taste. 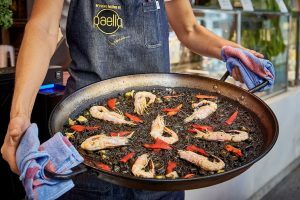  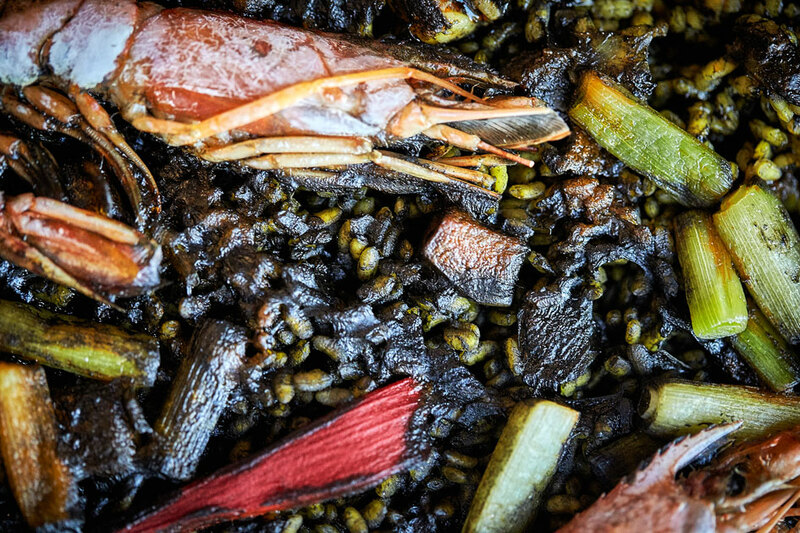 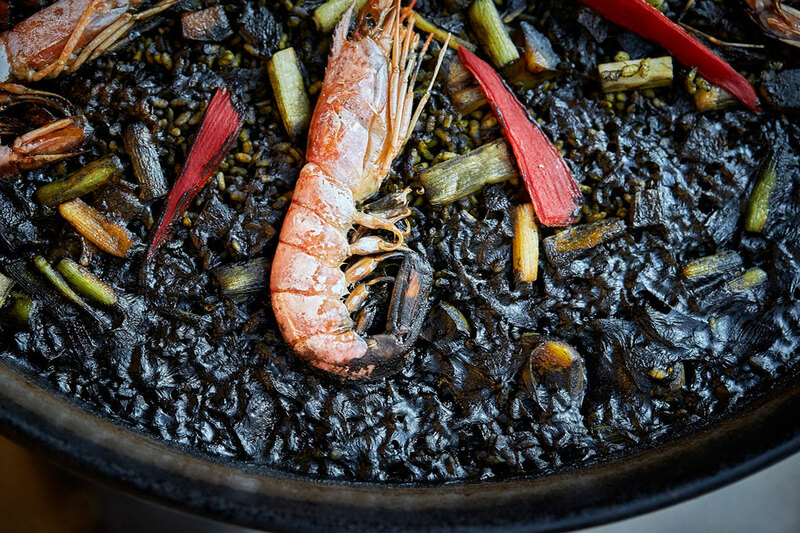 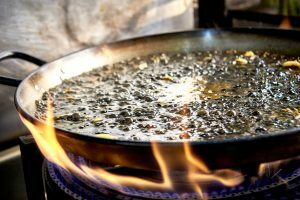 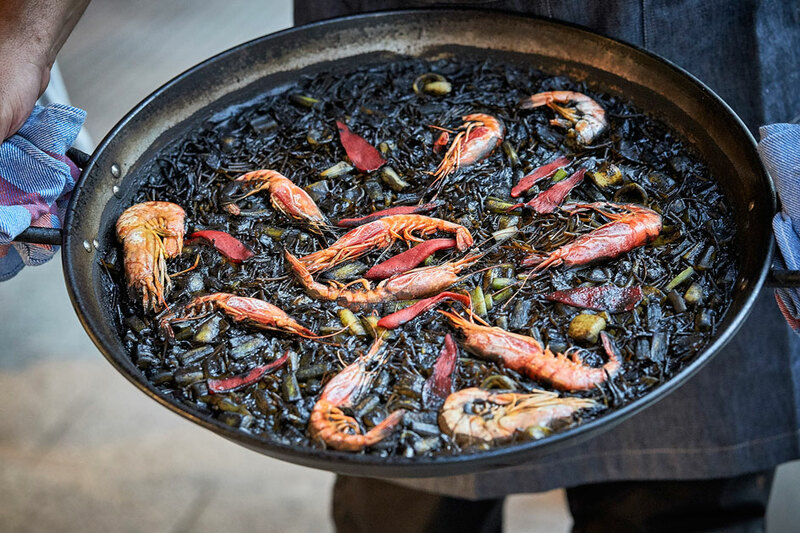 In homage to one of our chef’s masters, we offer the recipe of the paella that Joël Robuchon taught Rodrigo, and that he exported both to the food industry of the neighboring country as well as his international version of our recipe. 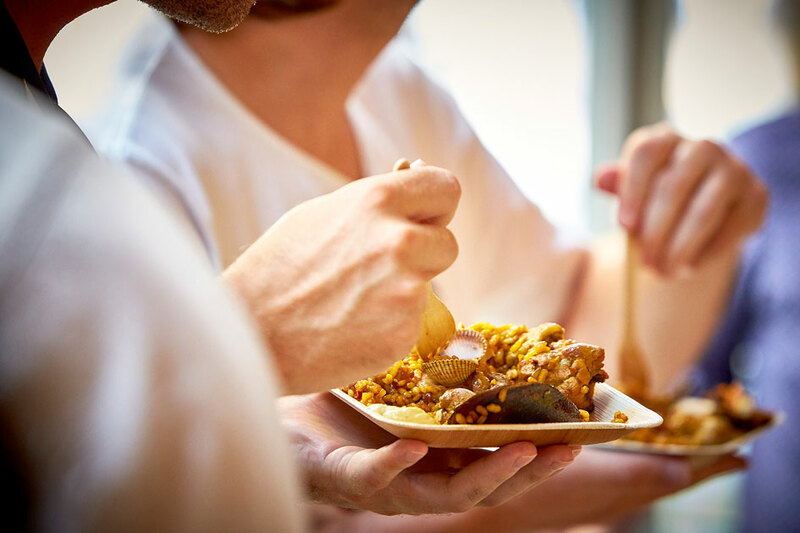 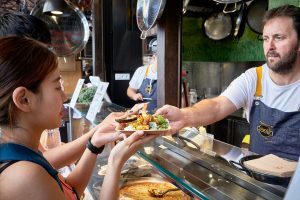 Add to the paella mixta known to all, some touches of chorizo, enhancing the flavor of rice with this typical Spanish sausage … delighting our international customers. With the same recipes and ingredients we elaborate different forms of fideuá, either chicken with mushrooms, or fruits of the sea, or black fideuá with the ink of the cuttlefish, giving the option to have more variety of dishes of Mediterranean cuisine and be able to enjoy the same flavors but with noodles of durum wheat semolina.